Behold the backless beauty of the Bloc Stool Dark Wood, a much-loved design with modern rustic character. The Bloc is a simple yet impressive piece of furniture with a sense of understated charm that will give many a bar area a stylish update. A simple sculpted design, the solid wooden seat is moulded to suit the natural shape of the body, helping to ensure a comfortable feel. Meanwhile, the dark wood finish has a rustic quality that matches the frame below. 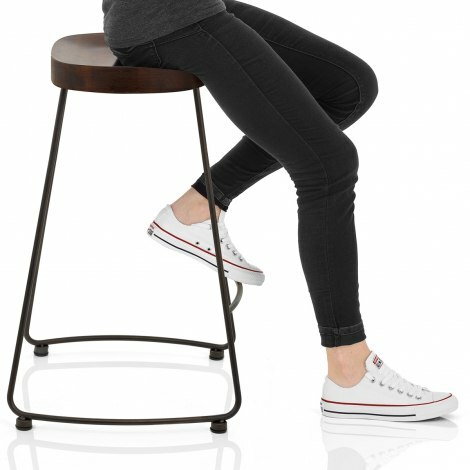 Crafted from strong welded steel, the fixed height frame has an aged finish and an integrated footrest at the front for a little extra support. Protective pads sit below the frame, working to prevent damage to the floor of your bar area. "The stools are stylish and good quality"
Fantastic Service. No problems whatsoever in placing order via Website. They even gave me a courtesy call afterwards to make sure everything was OK. Received call from courier to let me know when they would arrive which was next day on time. Stools looks brilliant at the breakfast bar to match the modern industrial look. Very comfortable and look far more expensive than they are. Definitely well worth the money. On the whole brilliant experience, no problems, would definitely recommend Atlantic Shopping. Stylish, solid, comfortable stools which look classy in my urban kitchen. Love these stools. Very good quality, sturdy and well made. Very easy to assemble. Delivery prompt and kept informed of delivery dates etc. Good customer service. Stools arrived on stated day and on time. Assembly was straight forward with supplied easy to follow directions. 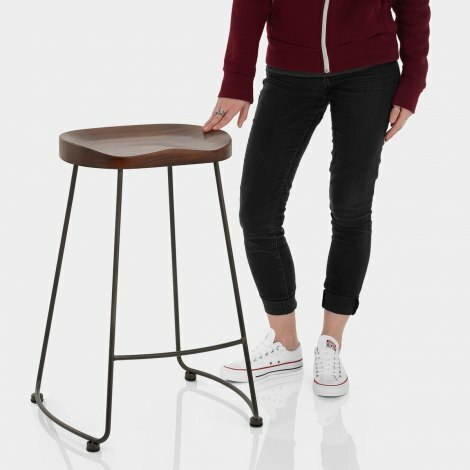 The product looks as stated in the photos - daughter delighted with both stools. 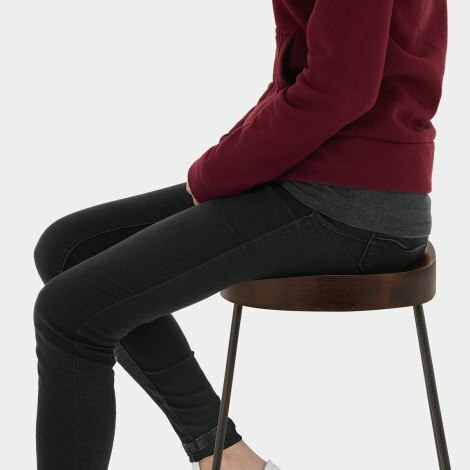 The stools are stylish and good quality. The service from Atlantic was excellent - across two purchases. I’m very impressed.